The monks came north, some by land but mostly by sea. St Padarn (Paternus) (d 550) originally from Brittany, came north by land and founded the monastery at Llanbadarn Fawr in Aberystwyth devoted to learning. St Cadfan (d.590) also from Brittany came by sea and founded a monastery at Tywyn. 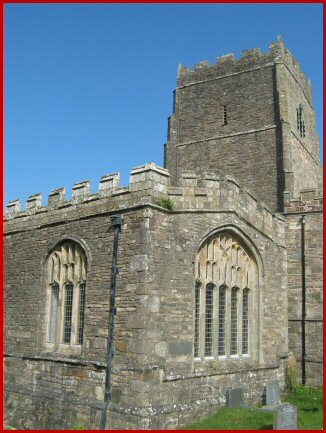 St Bodfan (6c) built a church at Llanaber. 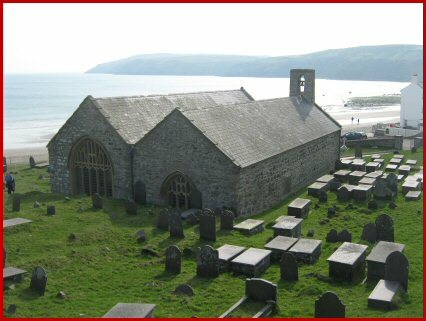 St Tanwg (5C) founded a small church at Llandanwg so close to the sea that in stormy weather the churchyard is flooded. All these sites have 5/6C grave stones. In mid-Wales St Moling (Myllin) (7c) was an Irish monk who settled at Llanfyllin 4 miles north of Meifod. His well can stil be seen under a sycamore tree. 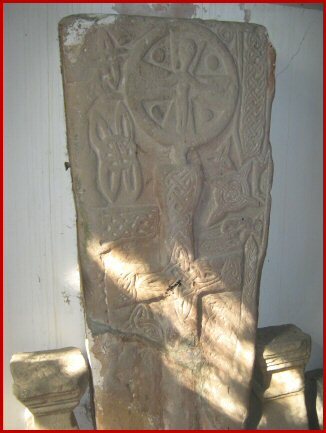 At Meifod is an unusual beautiful cross slab with a regnant Christ inside a Greek wheel cross on top of a Latin cross, with Celtic features. It could even be the gravestone of a Prince of Meifod. The glory of mid-Wales is without doubt the remote church of Pennant Melangell in a valley in the Berwyn mountains. Here is the shrine of St Melangell (7c) another virgin fleeing a suitor. and the offshore island of the hermit St Tudwal (6C). The journey on the mainland ends at Aberdaron and St Hywyn’s church by the sea. 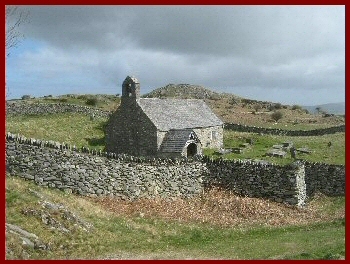 St Hywyn was the 6C abbot of Bardsey Island which lies just out of sight on the north side. 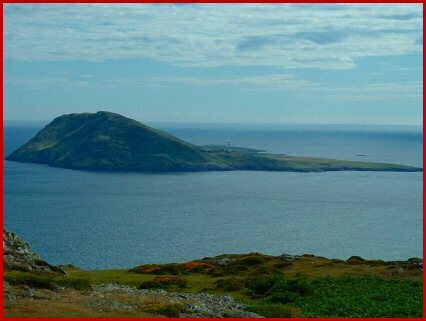 The Welsh name for Bardsey Island (Ynys Enlli) means ’the island of the currents. The currents between the island and mainland are notoriously unpredictable. St Dyfrig and St Deiniol were buried here. Bardsey due to its exposure suffered from the raids of the Vikings. The old name was Ynys Enli but the current name comes from Norse. By the 12C its reputation as a holy place was so great that pilgrims came from all over . Three pilgrimages to Bardsey were regarded as equal to one to Rome. The island has been called ‘the road to Heaven and the gate of Paradise’. So many people were buried there that it was called the island of 20,000 saints. Bardsey still has a huge fascination today. As we go north up the top side of the peninsula, we pass Llangwynnadl, another great pilgrimage centre named after the same Gwynnadl who lies at Llanbedrog. Next comes the gem of all: the tiny deeply atmospheric church of St Beuno at Pistyll. the present fabric and the font dates to the 12C. 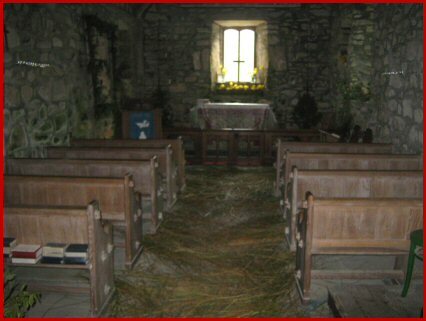 The church was thatched until the 1850’s and the floor is still strewn with rushes at Christmas, Easter and Lammastide. It is dark inside – reminding us that in early times this was how churches were. Only the priest needed a light.. The monk’s fish pond still pours forth forth its torrent (pistyll) past the church down to the sea. 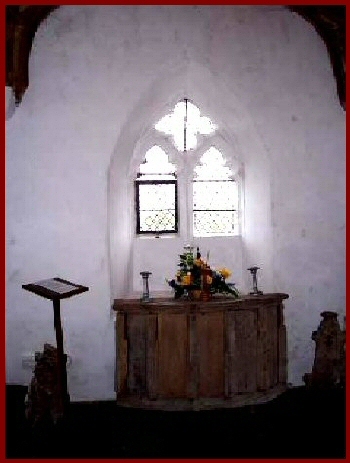 St Aelhaearn (7C), a disciple of Beuno, founded the church at Llanaelhaearn. St Beuno (7C) himself in his later days, established a monastery further east at Clynnog Fawr. The large late church here is quite the opposite to that at Pistyll. The size of the church speaks volumes of the number of pilgrims along the peninsula. 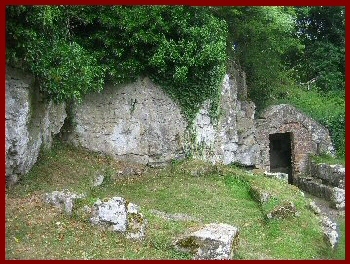 Connected to it is another ‘eglwys y bedd’, or small chapel containing his shrine. A small piece of the shrine survives as does the large chest that held the pilgrim’s offerings. St Beuno is said to have raised at least six people from the dead. Anglesey (Ynis Mon) was already a sacred isle in the pre-historic and pre-Christian era. Here again we are overwhelmed by saints. 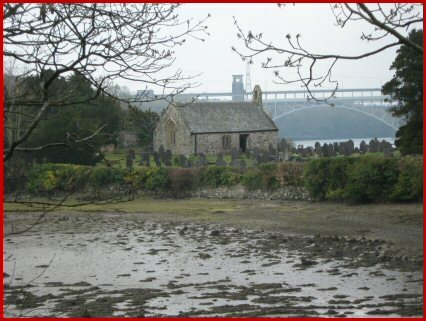 St Tysilio, a 6C Prince of Meifod, became a hermit at Llandysilio, a small island in the Menai Strait cut off by the tidal waters The whirlpools known as the dangerous ‘swellies’. 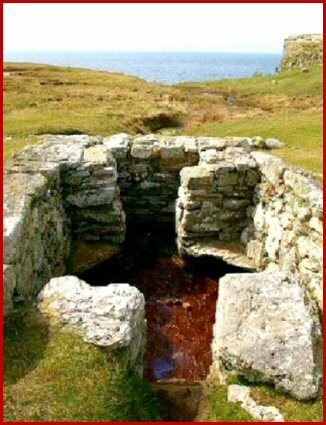 On the south northern shore of Anglesey, St Seriol (b 494) placed his cell and holy well at Penmon. In old age he retired to the little island of Ynys Seiriol, now called Puffin Island. 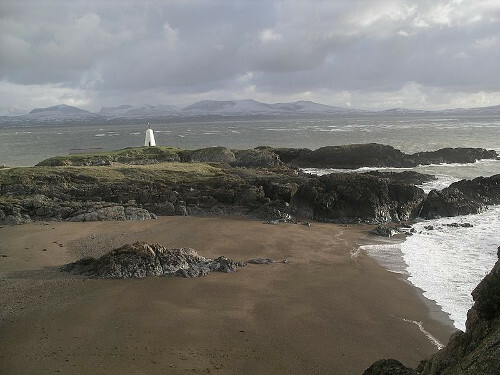 In the southwest corner of Anglesey is Llanddwyn Island where St Dwynwen (5c) lived. There are various versions of her story which is essentially that of love forlorn. To get there is by a very beautiful walk across the sands and onto the tiny peninsula. There are the arresting remains of a pilgrim church and a holy well, and lovely views all round. 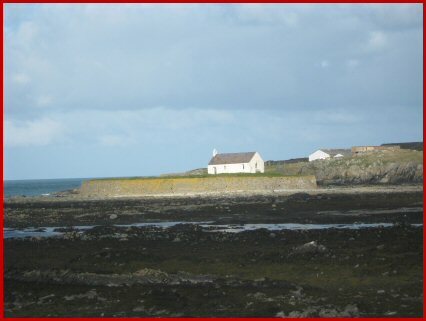 St Cwyfan (6C) has a 12C church at Llangwyfan near Aberffraw, which was once attached to the mainland but is now surrounded by the sea. The picture is hugely ‘iconic’ of island churches. Holyhead was once ‘Holy Island’ off Anglesey. St Cybi (6c) made his cell inside the old Roman fort by the sea. Holyhead has always been the focus of Anglesey because it provides a departure point for Ireland. 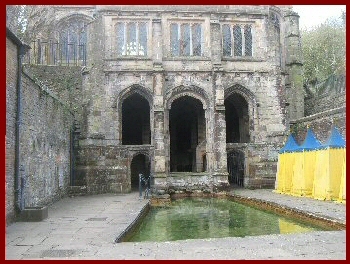 His 14C ‘eglyws y bedd’ is still in the grounds of the church, though later used as a school, but now thankfully restored. 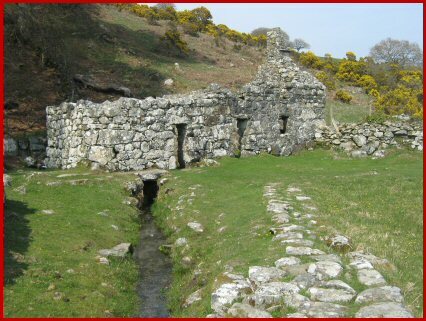 St Patrick (5C) is said to have been shipwrecked at nearby Llanbadrig. A stone grave slab of St Pabo, a 5C king of the Pennines and hermit, can be seen at Llanbabo. A stone grave slab/effigy of St Iestyn possibly part of his shrine, can be seen at Llaniestyn. 6C saints abound along the northern coast: the coffin of St Tegai, a companion of St Cadfan, lies at Llantegai. St Trillo lived at Llandrillo yn Rhos at Colwyn Bay. 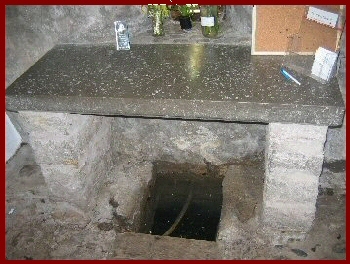 Inside the church, said too be the smallest in Wales, the water of the well still flows under the altar. 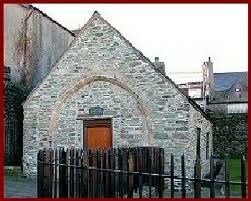 St. Digain (6C) built his church at Llangernwy on the site of a magnificent 4000 year old yew. 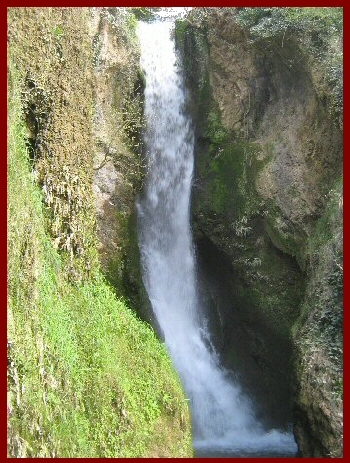 Likewise St Cwyfan (6C) made his church and well close to the formidable high waterfall at Dyserth near Rhyl. ‘Dyserth means ’a desert place’, a hermit’s dwelling. There is no trace left of the famous monastery of Bangor-on-Dee founded by St Dunawd. St Deiniol (b 635) his son became a monk here and bishop. He founded Bangor Fawr on the Menai Strait of which there is also no trace The name Bangor comes from the word for wattle fence with which the monastic enclosure was marked off. In 615, 1000 monks died when the Angles from Northumbria invaded Bangor-on-Dee, and 900 others fled west to Bangor Fawr and Bardsey. The church at Gwytherin founded by St Eleri (d 670)has just been sold. He built two monasteries, one for men one for women, at this prehistoric holy place. His mother, St Theona, was abbess of the women. St Winifred (d 660) (Gwenffrewi) followed her in office. 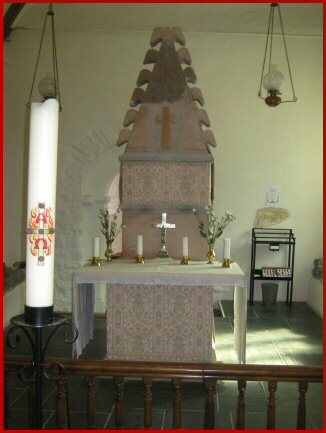 We have already had the story of St Elenud, the virgin decapitated at Slwch Tumb. This was the fate also of St Winifred whose head also rolled down a hill and a well appeared where her head stopped. In this case however Winifred was the niece of St Beuno, who being the saint he was, promptly prayed for and restored her head on her neck. 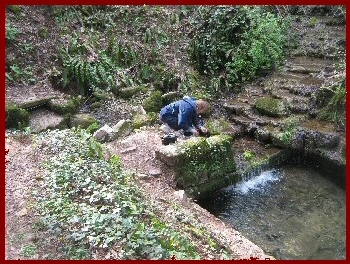 The place of one of her wells is at Holywell where she founded a community of nuns. 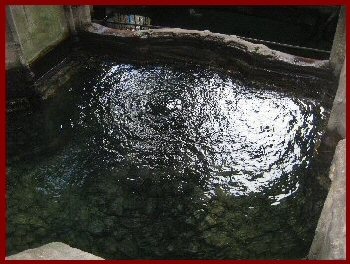 The deep well is truly impressive and fills a pool the size of a swimming bath. It became so famous for healing and pilgrimage that no less a person than King Henry V walked 50 miles on foot to visit the shrine. Its royal connections meant it escaped the Reformation and is still in full function today. It is good to find places that have survived and carry on into the present. There are more than 600 places in Wales which begin with the name ‘llan’. Some of the, at the very least 52, are named after a saint but given the obscurity of some saints there may be many more. The result however is to feel that the country under the surface still carries its old calling. There are over 1100 wells in Wales. It is impossible to calculate how many of these were dedicated to a saint, though a good few are. Wells however, are not much under the general eye, not as much say as in Cornwall and Ireland, though it is well known that Pembroke has very many. Given that the country is relatively small, the number is impressive. The calling to pilgrimage also lies just below the surface. This is helped by the fact that there is an important pilgrimage centre in each corner of the country: St David’s, Bardsey Island, Holywell and Llandaff. Nor should Holyhead in Anglesey be forgotten in this respect; nor the now restored Pennant Melangell. There are now 10 places in Wales where the Orthodox Liturgy is being celebrated.